Want something to fit in to your existing landscape plan? Can’t find a portable firepit that fits your style? 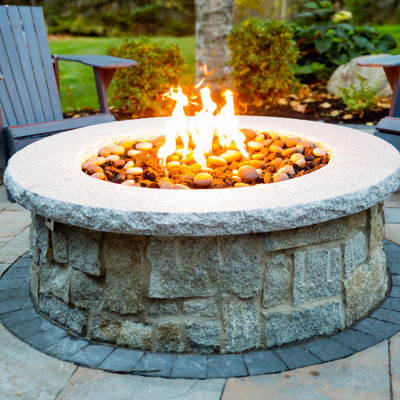 A custom gas firepit is a great solution. These firepits are built to your specs. Square, rectangular or round, any size we can find something for you! Ultimate choice of media to finish it off and pair that with a unique veneer stone you will create something one of a kind. Contact us today to customize your firepit!